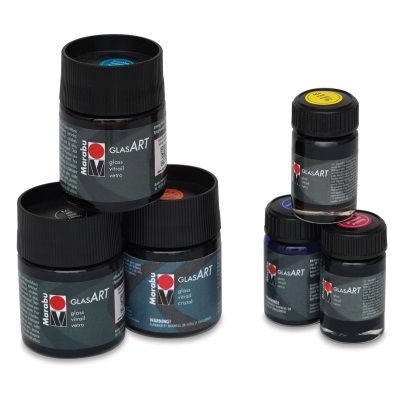 Marabu GlasArt Glass Paint is a dazzling paint designed for your most sophisticated glass painting projects. It's highly pigmented, vivid, and transparent, with excellent flow properties for even application. Use it on glass, porcelain, or acrylic plastic. Made in Germany with organic solvents.